Single Phase 240 volts model -We recommend a "Type D" 40 amp rating MCB. 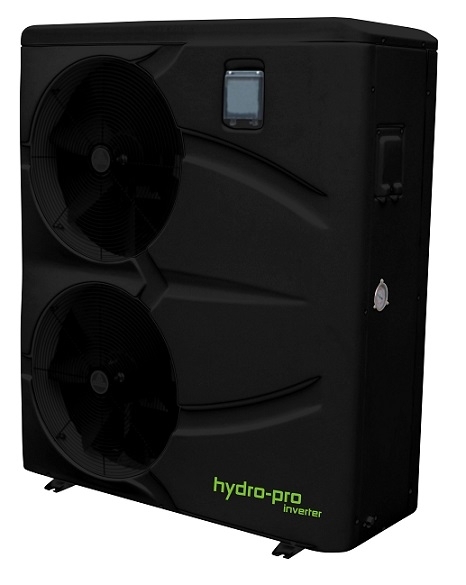 The new inverter series swimming pool heat pumps from Hydropro range from 7kw output right up to 35kw output. This is the Hydropro inverter 26kw model suitable for heating a pool up to 120 cubic metres of water. The inverter technology means you can get up to 7 times the output heating compared to the input power, in other words in optimum running conditions the heat pump is 7 times cheaper to run than an electric heater. Full control of the heat pump is via a digital controller which can also be remotely sited via a flying lead if required. 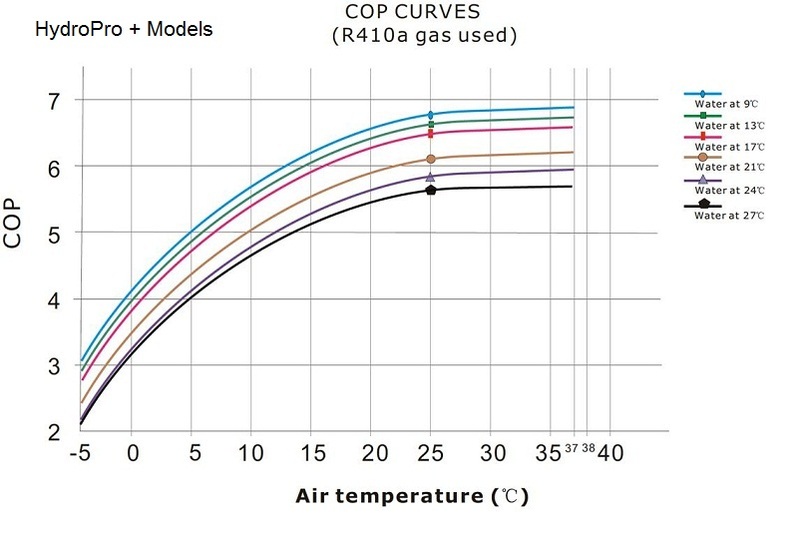 Take a look at the manual below for more information on these pool heat pumps.